The Flicx portable pitch concept was originally developed in South Africa in 1997 to help create more opportunities for youngsters to play cricket in the post-apartheid era. In the subsequent years the Flicx Pitch has helped cricket to thrive and grow in places it has never been played before and in countries all around in the world including on top of Mt Everest!! Using a Flicx Pitch as a second wicket for training or friendlies taking pressure off your main square or when wet weather might cause damage. Rolled out on top of either astroturf pitches or rubbercrumb surfaces … the list goes on! The Master in charge of cricket Stephen Jones of Harrow School points to its consistency. “I am impressed with the 2G Flicx Pitch coaching designs. They facilitate the development of good cricket playing techniques in younger players with the surface offering a true bounce, good spin and seam performance and still giving batsmen the confidence to play shots off their front foot. Why choose the Flicx 2G Pitch?? 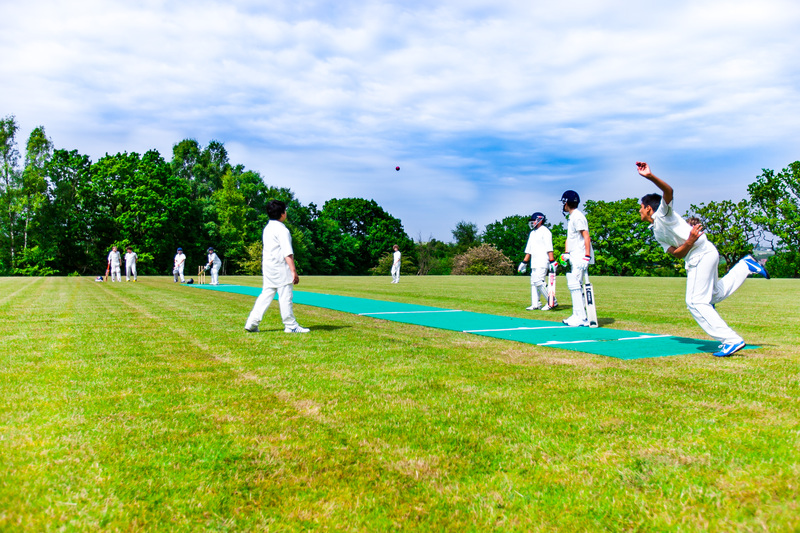 The convenience and versatility across a plethora of scenarios has to be its star quality and Flicx are proud to help cricket to grow in the UK and all around the world including most high recently in a number of International Schools all keen to add cricket to their curriculum in places such as Dubai and Dulwich College, Shanghai where the climate has previously been a barrier …. Again the 2G Flicx Pitch is solving these facility problems, boosting participation and creating more opportunities to play the game. For more information about our 2G product range, our coaching designs and branding options do visit www.flicx.co.uk where you can also arrange a quote for your school OR call Gary Luke on +44 (0)1295 816765 with any questions on the pitches suitability for your specific needs.